Independent Developer and IT Consultant. Interactive metaheuristics for optimization-based decision support systems. Interactive heuristics for solving scheduling problems. Development of a decision support system and heuristic optimization methods for a network design problem in the field of forestry. Project supported by a MITACS (MPrime) team grant and a FQRNT team Grant. Department of Mathematical and Industrial Engineering, Polytechnique Montréal. 2007-2009 Research and Education Assistant. University of Technology of Belfort-Montbéliard, Belfort, France. 2005 Research Engineer (Training period, 6 month), SeT-GIS Project. Development of a decision support system for the design and the evaluation of urban bus networks. Systems and Transports Laboratory, Belfort, France. 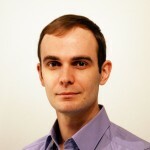 Principal investigator: Dr. David Meignan. Google Focused Grant Program on Mathematical Optimization and Combinatorial Optimization, 2012. Hyper-heuristics – Concepts and example (Seminar), (2012) Master Degree, University of Osnabrück, Germany. Multiagent systems in combinatorial optimization (Seminar), (2010, 2011) Master Degree, Polytechnique Montréal, Canada. Algorithms, High Performance and Modelling (Seminar), (2009) Master Degree, UTBM, France. Computer communication networks, (2009) 3rd year students, UTBM, France. Object-oriented programming (Java and C++), (2007-2009) 3rd year students, UTBM, France. Algorithmics and C programming language, (2007-2009) 2nd and 3rd year students, UTBM, France. Software engineering, (2007-2009) Engineering degree, UTBM, France. Calibration and validation of Transport – Land-Use models (funded by the ANR Cities Project). 2015 Program Committee: Genetic and Evolutionary Computation Conference (GECCO-20015), July 11-15, 2015, Madrid, Spain. 2015 Program Committee: European Conference on Evolutionary Computation in Combinatorial Optimisation (EvoCOP 2015), April 8-10, 2015, Copenhagen, Denmark. 2014 Program Committee: Genetic and Evolutionary Computation Conference (GECCO-2014), July 12-16, 2014, Vancouver, BC, Canada. 2014 Reviewer: European Journal of Industrial Engineering, InderScience. 2013 Reviewer: INFORMS Journal on Computing (IJOC), INFORMS. 2013 Program Committee: 2013 IEEE International Conference on Systems, Man, and Cybernetics (IEEE SMC’2013), October 13-16, 2013, Manchester, UK. 2013 Reviewer: International Journal of Metaheuristics, InderScience. July 6-10, 2013, Amsterdam, Netherlands. July 7-11, 2012, Philadelphia, USA. March 28-30, 2012, Paderborn, Germany. December 5-7, 2011, Mannheim, Germany. October 9-12, 2011, Anchorage, Alaska. Journées Doctorales en Informatique et Réseaux, optimization session, Belfort, France, February 2nd to 4th, 2009. Animation of meeting between PhD students and permanent laboratory researchers. Mediation with professors and doctoral school. Position at laboratory council. University of Technology of Belfort-Montbéliard and University of Franche-Comté, France. Application to transport networks optimization problems. Thesis defense: December 8, 2008. University of Technology of Belfort-Montbéliard, University of Franche-Comté, France. Title of the master’s thesis: Multiagent-based modelling and simulation of public transportation networks. University of Technology of Belfort-Montbéliard, France. Specialization: Software and knowledge engineering.